BALTIMORE — Who among the healthy can carry these Yankees? The list has narrowed, arguably, to three. 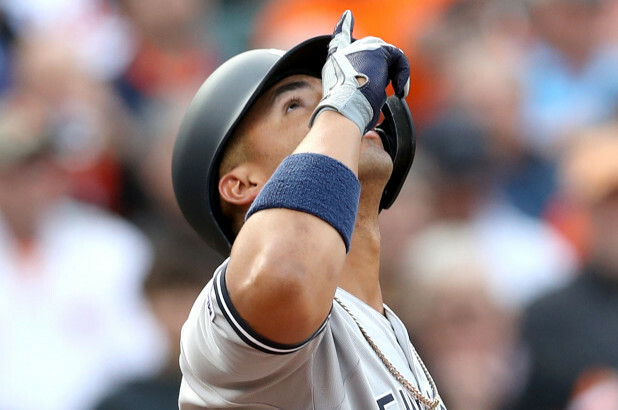 Hence the Yankees sounded oh so thankful Thursday afternoon, with their young season badly requiring a reboot, that one of their trustworthy trio rose to the occasion. Remember when Gleyber Torres carried these guys last year as a rookie, shortly after his first call to the big leagues? How helpful would it be for this depleted group to receive an encore? The sophomore delivered a tantalizing teaser. Torres’ three-run, sixth-inning homer gave the Yankees a lead they didn’t relinquish as they outlasted Baltimore, 8-4, spoiling the Oriole Park at Camden Yards opener and halting an ugly losing streak at two games. In all, Torres went deep twice, doubled and singled, setting a career high for hits and tying a career best with four RBIs.